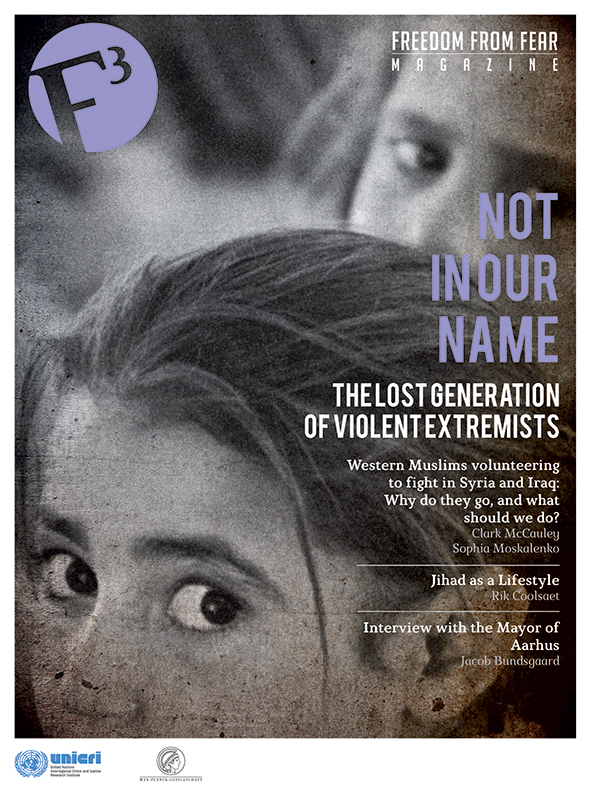 The role that communities play in relation to violent extremism is controversial. On the one hand, communities might be viewed as possibly supporting or endorsing violent extremism, on the other hand, communities might be seen as helping to prevent or challenge violent extremism. There is also a wider question about what ‘community’ is, and whether its ill-defined nature means that it is ill-advised to use this as a unit of analysis. These varying positions reflect some of the complexities when trying to design and implement initiatives involving non-state actors and organisations to counter violent extremism. Counter-terrorism has traditionally been dominated by state-led approaches involving security and policing agencies. However, with the twenty-first century focus upon exploring and developing people-centred approaches – that stress the importance of human security, for example, freedom from fear or want – there has been a rapid rise across many parts of the World in developing initiatives that include both state and non-state actors and agencies. A growing body of research suggests that programmes involving police and communities can work in relation to preventing violent extremism. This research suggests that effective police and community initiatives include some or all of the following elements: efforts at building relationships and trust between community members and police officers; police officers engaging with communities out of concern for their welfare rather than to gather intelligence; the existence of strict information sharing protocols, with clear boundaries regarding what will and what will not be shared between police and communities; police responding to community concerns, whether those have anything to do with violent extremism or not; and the existence of shared goals that individuals can work together towards. A large body of research also highlights the challenges and tensions to police and community initiatives. Community members can feel that they are being spied upon, particularly when many initiatives have become intelligence-gathering tools for the authorities. Trust may be difficult to build within a wider climate of suspicion and distrust, when antagonism between police and communities may have a long and sustained history. Trust can be eroded by heavy-handed techniques and operations used by the police, tactics such as stop and search, surveillance and detention without trial. Community members may also have material concerns about foreign policies and the impacts these are having on individuals in other parts of the World that they identify with, and where these concerns are not taken seriously by state actors trust can be difficult to build. Further challenges lie in risks that both police officers and community members have to take when involved in initiatives aimed at countering violent extremism. Those police officers who manage to build trust with community members, and who are empathic with communities’ concerns, may find that their work is not supported by wider policing cultures that perhaps stress crime fighting over building relationships, and that deny the significance of state foreign policies on community cultures. Those community members who engage with police may be viewed as grasses by their wider networks. As a result, they may come under attack verbally or physically, or they may be ostracised, by their acquaintances, friends and families. Community members are also at risk of losing credibility with their grassroots networks because they can be viewed as helping police reach their objectives rather than helping their own. This is particularly problematic within political and social contexts that stress that extreme views are as dangerous as extreme acts, as there is a risk that community members are co-opted into policing ideas and beliefs rather than providing safe spaces within which extreme mentalities can be discussed and appropriately challenged. It may be that we think about the role of ‘connectors’ in dealing with violent extremism rather than communities. 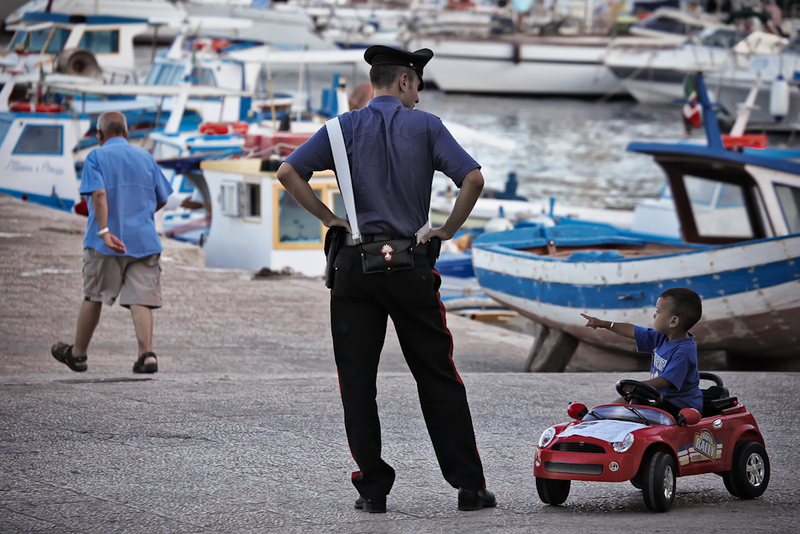 Within social contexts marked by significant distrust of the police, where there may be poverty and violence, research that I have undertaken suggests that there can be state and non-state actors who build important bridges between themselves and with marginalised youth, who may be at risk of committing crime, anti-social behaviour and terrorism. Connectors can be youth workers, they can be police officers and they can also be community members with no formal training. Connectors are people who are excellent at building relationships of trust. The role that connectors play in dealing with violent extremism is perhaps different from the kind of crime control mechanisms that naturally exist within cohesive communities. Connectors may act within contexts characterised by low political and social trust, where there is little sense of agreement regarding the legitimacy of counter-terrorism approaches. It is also important to stress that connectors are not necessarily community leaders. Some connectors may be dissenters, for example, challenging social injustice as and when they perceive or experience it, and so they may be viewed as ‘troublemakers’, by wider communities or by those in positions of authority. Importantly, it seems that connectors are key components of the intricate networks of connectivity that young people themselves can draw upon in order to manage the multiple impacts of their challenging environments, marked by poverty, victimisation, marginalisation and processes of criminalisation. Counter-terrorism initiatives that aim to include marginalised youth therefore perhaps rely substantially on connectors for their effectiveness and workability. Finally, when examining the experiences and perspectives of former extremists, it might be worth drawing upon the Transtheoretical Model (TTM). This is a psychosocial model that conceptualises and analyses psychological and behavioural change. When exploring the journeys that formers extremists have made in relation to their ideologies, actions, personal and other identifications, it seems that this model might offer some useful insights. According to the TTM, psycho-behavioural change can be conceptualised through stages, levels and processes of change. There are six stages of change – pre-contemplation, contemplation, preparation, action, maintenance and termination. There are five levels of change that a person can experience – at the level of their situational problems, their cognitions, their interpersonal relationships, their family relationships and their own intra-personal, conflicts. The processes of change within the TTM explain how people undergo psychological and behavioural change: consciousness raising; dramatic relief; self re-evaluation; environmental re-evaluation; self-liberation; social liberation; counterconditioning; a helping relationship; amongst others. It may be that effective connectors intuitively understand some of these stages, levels and processes of change. It may be that training people in key elements of the TTM, whether these are community members or police officers, might help prevent violent extremism. Further research and analysis is needed. Professor Basia Spalek obtained a BSc (Hons) in Psychology at Warwick University in 1991; she then went on to complete an MA in Criminology at Leicester University, before then completing a PhD at Brunel University in Victimology. Basia has over twenty years experience of research and teaching, focussing on victimisation, violence, trauma, social justice and violent extremism. Basia was made a university Professor in 2013. She regularly writes journal articles and books and is also regularly invited as an international speaker at academic, policy and practitioner conferences on victimisation, policing, trust and confidence, and community based approaches to violence prevention and counter-terrorism. Basia is currently lecturing on an MA programme at Derby University on Integrative Counselling and Psychotherapy. Basia also supervises a number of doctoral researchers and she leads many international and national research projects. Basia is also a practising psychotherapist, specialising in trauma and post-traumatic stress disorder, arising from conflict, violence and other instigators, and working with prisoners. 1 Whilst the Transtheoretical Model (TTM) cannot provide any causal explanations in relation to radicalisation and de-radicalisation, it might help to document the ways in which individuals have experienced change. Like all models, the TTM has attracted some criticism. For example, some researchers argue that in practice, people can go through the different stages of change in a matter of minutes. It might be argued, however, that whether change is viewed as stage-like or as more of a continuum does not detract from the TTM providing an overview of a person experiencing psycho-behavioural change (Prochaska & Norcross, 2010).